Our friends at Judicial Watch have filed a new round of Freedom of Information Act (FOIA) lawsuits aimed at getting the FBI and Justice Department to meet their legal obligation to make public documents from the James Comey-era FBI. As Judicial Watch President Tom Fitton said in a recent email to supporters, the more we learn about the FBI under James Comey’s supervision the more we have reason to question the activities of the fired FBI Director. 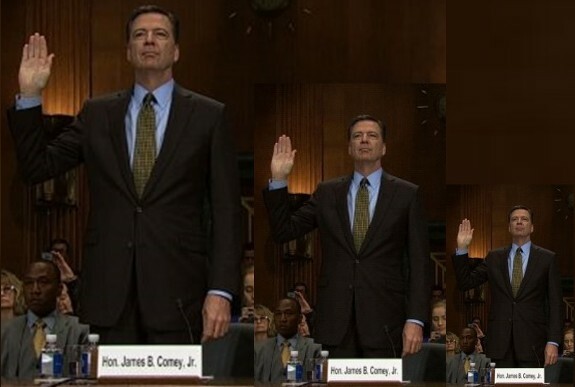 Because he has left a trail of suspicious activities in his wake, Comey now stands out as key figure in the Deep State’s illicit attempts to target President Trump. And it looks like the Deep State is protecting Comey still. Judicial Watch was forced to file a Freedom of Information Act (FOIA) lawsuit for FBI records about former Director Comey’s book, which he signed to write in August 2017 and is set for publication in April 2018 (Judicial Watch v. U.S. Department of Justice, (No. 1:18-cv-00220)). The Judicial Watch suit also seeks records of communications between Comey and the FBI prior to and regarding Comey’s controversial June 2017 testimony before the Senate Intelligence Committee. Comey seems to have protected status for any misconduct, and the public deserves to know if he had a special deal for his book from his friends in the FBI. The Deep State is in cover-up mode. “The FBI, DOJ, and the Special Counsel are stonewalling our requests for Comey documents,” said Judicial Watch president Tom Fitton. And another lawsuit seeks non-disclosure agreements pertaining to the handling, storage, protection, dissemination, and/or return of classified information signed by Comey ((Judicial Watch v. U.S. Department of Justice (No. 1:17-cv-01624)). Unfortunately, on February 2, Boasberg ruled that the “Comey memos” would not be made public. Judicial Watch and the Daily Caller News Foundation almost immediately appealed the ruling. We all owe the Judicial Watch team of lawyers and investigators and its president Tom Fitton a debt of gratitude for never letting up in their pursuit of the truth about the egregious conduct of the FBI’s former director. We believe James Comey, and others, such as former Attorney General Loretta Lynch, must be made to account for their actions – publicly – and face the civil and criminal consequences of those actions.